Home » Blog » biometrics » Combatting Crime and Protecting Crowded Places. Face Recognition in the Cloud Demonstrated at UK Security Expo 2016 in London. Combatting Crime and Protecting Crowded Places. Face Recognition in the Cloud Demonstrated at UK Security Expo 2016 in London. Allevate’s Cloud-hosted Face-Searcher face recognition service integrated with Facewatch’s digital crime reporting system to feature in UK Security Expo’s Securing Crowded Places Immersive Demonstrator. Nationally available in Brazil, UK launch imminent. LONDON, UK 25th November 2016: Allevate and Facewatch today announce that Allevate’s Face-Searcher, a cloud-hosted face recognition service integrated with Facewatch’s online crime reporting system, will feature in the Securing Crowed Places Immersive Demonstrator at the UK Security Expo on the 30th November and 1st December 2016 at Olympia, London. After its successful Brazilian launch, the integrated offering is now due for imminent launch in the UK. The Immersive Demonstrator at UK Security Expo 2016 will be under the theme of ‘Securing Crowded Places’ and is being run in association with The Home Office JSaRC, the Centre for the Protection of National Infrastructure (CPNI) and other relevant Government Departments. Allevate’s Face-Searcher service enables organisations to utilise facial recognition as a hosted cloud service. It requires minimal capital outlay, incorporates advanced, world-class face recognition technology and eliminates the need to install or maintain a complicated software infrastructure or related compute platform on clients’ premises. 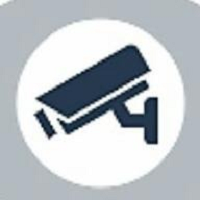 Facewatch enables organisations to report crimes online and submit moving and still CCTV images as evidence to the police, as well as share this imagery between businesses in related subscribed groups (in compliance with Data Protection guidelines) to reduce crime. Following an imminent UK launch, UK Facewatch subscribers will be able to instantly and automatically share their images of Subjects of Interest to Face-Searcher’s watchlists, thereby allowing real-time watchlist alerting to any device connected to Facewatch’s integrated alert management system. This integrated offering will help businesses prevent crime by warning them if someone entering their premises is on a watchlist of known offenders. Face-Searcher is built on the industry-proven enterprise-grade MXSERVERTM platform enabling automated facial detection and recognition, developed by Tygart Technology, Inc.
Additionally, Allevate will be providing a live demonstration of the MXSERVERTM platform in the Technology Workshops and Live Demonstrations in the conference stream of the exhibition, entitled “Beyond Live Surveillance: The Application of Face Recognition to Improve Forensic Analysis of Masses of Digital Media“, Day 2, 1st December, 2016 at 1240pm. MXSERVERTM is also available on the UK’s Crown Commercial Service Digital Marketplace G-Cloud 8 Framework and is Powered by Sungard Availability Services. Find out more on stand A41 at the exposition, in collaboration with Sungard Availability Services. Visit us at https://allevate.com, email us at contact@allevate.com, call us on +44 20 3239 6399 and follow us at @Allevate. Founded in London in 2010, Facewatch has worked with UK policing to create the world’s first private sector crime reporting platform that enables business and police to share information securely and instantly. Visit us at http://www.facewatch.co.uk, email us at info@facewatch.co.uk, call us on +44 20 7930 3225 and follow us at @Facewatch. Visit us at http://www.tygart.com or call 1-304-363-6855.